Here's a link to Smashwords.com. An ePub is available there. From Joseph Campbell, the renowned comparative religions and mythology scholar, Toby Johnson derived his central insight that there is a “new myth” arising in human consciousness. This is the understanding of the nature of myth itself, a “meta-myth,” the “myth of myth,” according to which our lives are always giving us clues to the secret of our true and deepest nature, and our salvation comes from following our own unique clues. One of the clues that many cultures share is the tradition of the “wise old man,” the elder who serves as guide, teacher, and companion, helping others on the path to enlightenment. When Toby Johnson, a young Catholic seminarian, left the monastery on his own unconventional spiritual journey, he had the good fortune to find such a teacher in the person of Joseph Campbell. Johnson says in the introduction: Joe demonstrated how to gently leave behind the naïve religiousness of youth and find wonder, meaning, and bliss in a new post-mythic, but re-mythologized, spiritual consciousness. Johnson's spiritual/philosophical autobiography, Finding Your Own True Myth—The Myth of the Great Secret III, is both a loving memorial to Campbell and an original extension of his work. Johnson, later a psychotherapist, religions scholar, novelist, and gay spirituality writer, offers insight into the vital role that myth—and insight into myth—play in the modern world and inspiration for anyone seeking coherence and meaning. A wealth of personal anecdotes and teaching stories are woven throughout the text to provide practical applications for these lessons and concrete examples of their power to change lives. "The Myth of the Great Secret: An Appreciation of Joseph Campbell" is a sort of “spiritual autobiography” of Johnson's life as a young Catholic boy joining Catholic religious life after high school and going off to the monastery—which was actually just college most of the time, but living in a religious community and going through a daily series of religious practices. During that time, he discovered the field of Comparative Religions and, specifically, Joseph Campbell. From learning about Buddhism and other religions, Johnson came to a new, modern understanding of what religion is really about. He argues that this is what everybody’s going through now in some way as religiousness adjusts to the modern, scientific world. The field of comparative religions teaches one to think about religion from over and above, outside any particular set of doctrines. Such thinking produces a kind of “meta-myth,” an explanation for oneself of how all these various myths fit together. The term in the title “The Myth of the Great Secret” refers to this “meta-myth” or “myth about myth.” Everybody feels like there’s something we need or ought to know to make our lives better and more meaningful and satisfying. Religion has tended to answer that need with its stories about higher reality. That “something” that inspires us is a secret, a Great Secret that pushes us to assume higher and higher perspectives to make sense of everything. After Johnson left religious life in the pivotal year 1970, he moved to San Francisco and continued his studies of comparative religion at the California Institute of Asian Studies (now the California Institute of Integral Studies). The next year he attended a weekend seminar that Joseph Campbell taught at The Mann Ranch Seminars, a retreat center out in the country north of San Francisco. He got a job at that retreat center and spent some 5 summers there. The Mann Ranch Seminars was loosely modeled on Esalen Institute down in Big Sur. Through the Mann Ranch Johnson made friends with Campbell and corresponded with him for some ten years. Johnson was part of the crew that assisted at Campbell's appearances in the Bay Area through most of the decade. Joseph Campbell read the first edition of this book and wrote a nice letter about it: "I think the way you have put together all that we have all been learning from each other in those meetings and encounters, up and down the state of California, is really wonderful. The book is the definitive chronicle of our ‘Queste del Saint Graal’ of the seventies.” This letter is included in the second edition of this book. Campbell used the expression “The New Myth” to mean whatever is coming in the future that will replace our current religions, the way they replaced the religions before them. Toby Johnson argues that “the new myth” IS the realization of the nature of myth. Joseph Campbell thought the image of “Earthrise” — the Earth rising above the lunar horizon — symbolized the modern ability to look back upon oneself from outside. The astronauts seeing earth from the moon are like humanity seeing itself from over and above. That’s the modern perspective. One of the stories from the Mann Ranch tells of a talk Campbell scholar Daniel Noel gave out on top of the highest point in the California Coastal Range above Mendocino in which he contrasted the mythological image of the Sun shooting an arrow through the Full Moon at the moment of sunset/moonrise with the scientific and powerful reality that humankind has walked on the Moon and watched the Earth from afar. 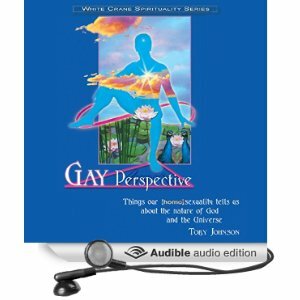 Johnson does talk about himself as a gay man and gay mental health activist in the book, but this is not a “gay book” the way most of his others are. It’s about the recognition that myths and religious doctrines are symbols about the nature of consciousness. Waking up to that reality frees us from the rigidity of old time religion, while allowing us to believe in a “greater reality” that gives clues to itself—i.e., clues to the secret—through the events of our lives. For gay and lesbian people this is a very helpful way to understand religion. It allows us to reject the stuff that doesn’t fit. Johnson only half-jokingly fancies himself “Joseph Campbell’s apostle to the gay community." This idea is what’s behind the internet term “Spiritual, not religious.” And the notion of the “secret” resonates with what people mean when they say they are “agnostic,” i.e., that they don't know. Another expression of this idea was coined by California Institute Founder Frederic Spiegelberg in the phrase: “The Religion of No Religion." Interwoven into Johnson's autobiography is material about Campbell, modern physics, the history of Buddhism, Meister Eckhart and medieval Catholic mysticism, Carl Jung and the phenomenon of synchronicity, the Gaia Hypothesis, and, especially, the story of the Bodhisattva Avalokiteshvara. 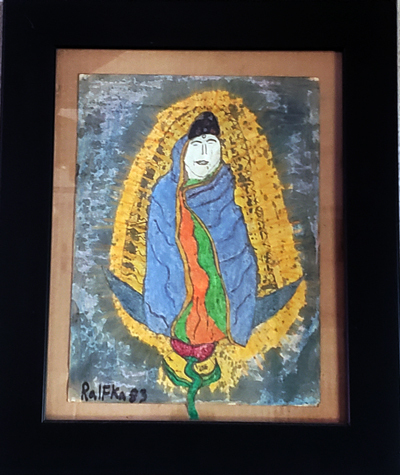 This last is the Buddhist myth about a world savior who saves the world by taking on everybody’s future reincarnations for them—so we are all really Avalokiteshvara reincarnating in fulfillment of his vow to be everybody. And religion and myth have been the clues Avalokiteshvara is giving himself about who he really is and what's actually going on with human existence. Avalokiteshvara, by the way, is a fairly familiar-looking Buddhist statue. In male form he is Avalokiteshvara. In female form she is Kuan Yin. 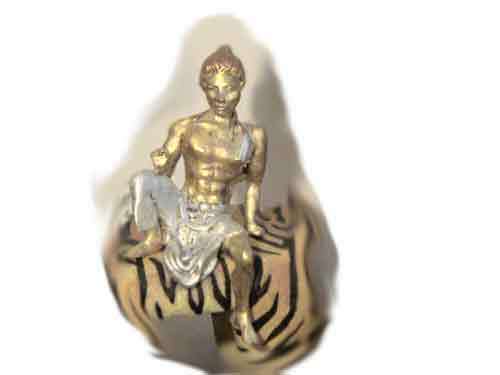 The original Northern Indian image was of him as an androgynous male in the form of a bare chested boy sitting in a relaxed lotus position, wearing women’s clothes or jewelry. It is said there are Three Wonders of the Bodhisattva. The first is that “he” sees that there is no difference between samsara and nirvana, between time and eternity—This is It, right now. The second is that “he” is both male and female. And the Third Wonder is that the first two wonders are the same. 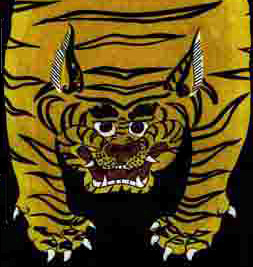 Within the course of the book, there are two symbols used for the central idea of the “Great Secret.” They are the Tibetan icon of the double dorje or vajra (lightning bolt), and the image of the inner nature of the Self as a tiger. Lightning is an icon for Enlightenment as a sudden bolt of insight. Ancient Tibetans believed diamonds were formed by lightning striking the earth and congealing. 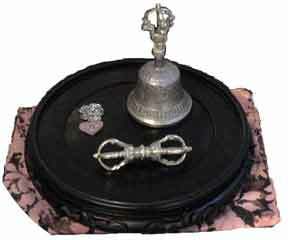 The symbol for the lightning bolt is that dumbbell shaped figure (there are two of them crossing each other in the “double dorje”). The prongs come from the sceptres of the old-gods who hurled lightning bolts—like the Greek god Neptune with this trident. The central story of Toby Johnson's book is about Campbell giving a lecture on the Tibetan Book of the Dead. Johnson was operating the slide projector. Campbell had intentionally left one of the slots in the carousel empty, so when he got to the stage of “The Clear Light”—what the Buddhists say is the way straight to nirvana at death—and Johnson clicked the slide and there was no slide, just bright white light, he immediately clicked to the next slide. And then Campbell explained that is what everybody does at the moment of death. Because we aren’t expecting it, when the Clear Light appears, we reject it and move on—which in Buddhism means falling back into reincarnation. Symbolically it means we are surprised at the Truth because it isn’t what we were expecting. And that is because it is a secret! Here's the original 1st edition cover, published by William Morrow & Co. in 1980. 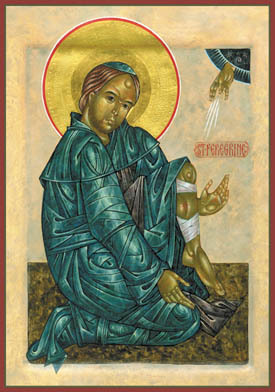 The image was chosen by Toby Johnson's editor Jim Landis from a sample of "cross-like" icons Johnson prepared for Landis. Here's the revised edition cover, published by Celestial Arts, in 1992. 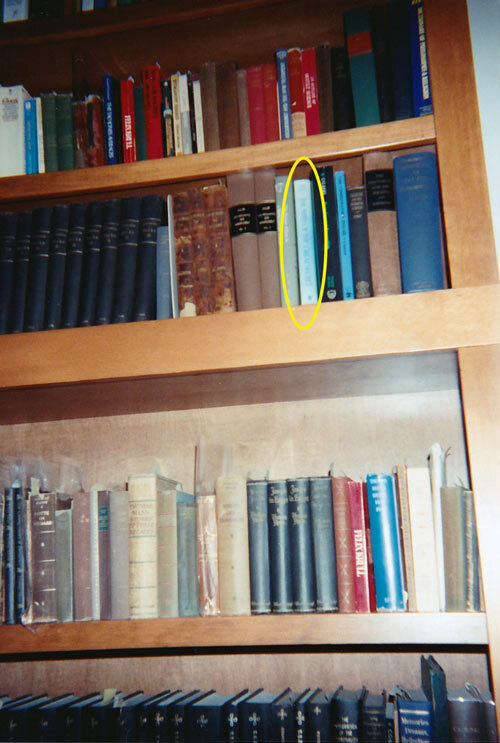 Here's a photo of the first edition which was in hardcover only in Joseph Campbell's library (as it has been reproduced with every book where he had it) at the Pacifica Graduate Center Campbell/Gimbutas Archives. Johnson interweaves his impressive knowledge of religions and their myths with stories of his own journey through life in teaching how we can each create our own myths, the myth we choose to define ourselves, the myths we use to map our journey finding our own bliss. Toby Johnson is extremely well read, and intertwines a history of religious thought with his own life's journey expanding on Campbell's ideas to how we can each create the myths that shape our lives, can reach for the Bliss Joseph Campbell described. Dennis Merritt is author of the wonderful and mind-blowing book Reflection. This book has come through my life twice (1992 & 2017) and each time it's been an affirmation and reminder of the Great Secret theme in my life. Dennis Merritt is like the guy in the "Interlude" chapter who leans across the table and says: "Let me tell you a secret…"
Unlike some other atheists, I certainly have nothing against spirituality. Anything that helps you examine your own life and your relationship to those around you and the world in general is a positive thing. Self-reflection is a wonderful tool and one that is in all too rare use these days. In his time as seminarian, monk, author, lecturer, psychotherapist, Toby Johnson’s experiences and insights rival those of his mentor, Joseph Campbell, and many of them are laid out in this third edition of what may become Johnson’s Leaves of Grass, The Myth of the Great Secret. 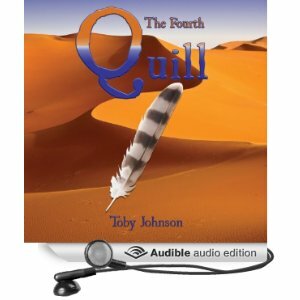 This edition focuses on Johnson’s relationship with and assimilation of the teachings of myth-master Joseph Campbell, providing well-chosen anecdotes as well as teaching stories to illustrate his points. Johnson also includes a great deal of personal history pertinent to his own path, but he never intimates his journey must be your own. One of the points he stresses is that the spiritual search is an extremely individual one, and what works for some may not for others. His example provides both a model and a point of departure for those on their own mythic hunt. If all of this sounds frightfully boring, it’s not. Johnson uses his novelist’s skills to infuse a bit of life into what could have been a very dry read and also uses his own history as a gay man to make his philosophical points salient to other gay men. This common ground proves indispensable in making the material accessible. And although Johnson always comes back to Joseph Campbell, he uses Campbell’s myth-making to include Eastern religious modalities, occultism, and even parapsychology, ranging far and wide among these subjects to bring us a gestalt of the lessons he has learned. Finding Your Own True Myth, then, is more of an instruction booklet than dogma, presenting possibilities and potentialities that the reader can choose from. It provides a light by which you can walk your own path, and in these days of homogenized, ready-made belief systems, that’s an invaluable service. 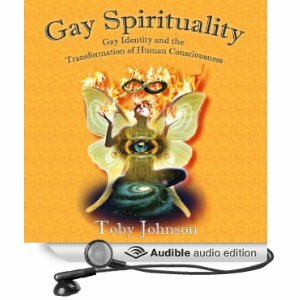 Toby Johnson has been and remains an important figure in the expression of the gay spirituality which has been spreading since the seventies in America into the wider world. From being a former seminarian, a Servite friar and would-be physicist he would become a gay activist, journalist, novelist, editor, therapist and you name it. 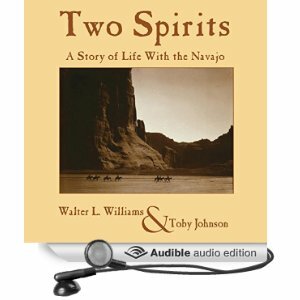 So it is therefore of real interest to know more about TJ’s background and his colourful views in the way this well written book allows and also to know more about the renowned mythologist Joseph Campbell. This writer-guru of the “follow your bliss” mantra, greatly influenced Johnson at a crucial stage and Johnson had the privilege of personally knowing him as opposed to Thomas Merton and Barnabas Ahern without whom perhaps he might not have been so open to Campbell. The book helps the reader to better understand a whole period of time and range of ideas, some of which they might dissent from even while under the umbrella of the same gay spirituality they would agree in seeking to realize and affirm. Gay spirituality it seems to me goes in basically two directions. 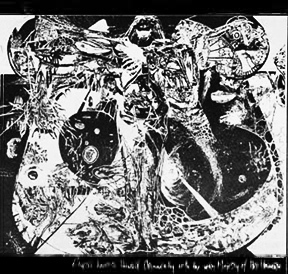 It can be an inquiry into, explanation and expression of one’s personal and cultural individuality as a gay person, or, on the basis that gayness can avoid the Yin/Yang dualities heterosexuality imposes, “acceptance” seeks to include everyone and everything on a quasi-buddhist basis within an evolutionary plan to which gay consciousness will contribute something, even much. TJ is very much of the latter “mystical” as opposed to “philosophical/theological” persuasion, and is even its chief spokesperson today. A problem with this latter path for me as a gay theologian who believes in an objective not metaphorical gay aura and whom long residence in Asia can’t permit me to be idealistic about Asian faiths, is that any Buddhist no-self doctrine has no real room for the individualism that being gay is about and the high self awareness needed to manage oneself in society. I even believe that “the story of ourselves”, gay or otherwise, that Campbell believed we make up as we go along and the “synchronicities” that TJ sets so much store by for guidance, are in fact largely given in advance by the celestial pattern at birth. Thus Campbell’s hero’s journey, less universal than he assumed, had a lot to do with his being born under very self-aware and combative Aries. In following Campbell, TJ takes myth a long and radical Jungian way to the point good and evil become purely relative, there’s no eternity there’s only “now”, there’s no God unless we’re God ourselves, there’s only Life (which is a grand opera which hurts) and all religions are true as metaphors only. The latter point leads to something we do need to know if only because, again, we might wish to dissent from or make variation upon it, even while affirming TJ’s gay spirituality with its insights for life and culture more generally. Influenced by hints from Campbell, TJ believes the next myth, the myth of myths, the secret myth that’s evolving, a form of consciousness in itself that gays can contribute to or spearhead, is the identity of all religions. Because it’s sometimes too easy to be drawn into generalizations and lured by symbols, it seems to me it’s important to be clear that this idea beyond all the various insights of TJ’s writings across the years, is the core vision now being presented and this marks a direction many could never follow. Which the author wouldn’t object to because he is all for freedom and openness. 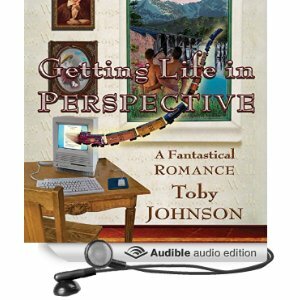 Toby Johnson is a fascinating, and thought provoking character, a perennial hippie of the mind. His book which updates, including autobiographically, a work issued years ago, is an excellent insight into, and for many would be a fine introduction to, his life and work. Toby Johnson is both a scholar and seductive truth-seeker of the highest order. What a wonderful accomplishment is this book that seamlessly weaves earthbound matters of bettering one's life (and, more importantly, the lives of all others) with accessible, lyrical prose to help the reader stretch beyond the mundane imprisonment of the ego. Whether expanding upon religious faith is one's concern, or exploring spiritual alternatives altogether, Johnson beautifully inspires us to embark on that journey. The book is invaluable alone for interpreting the extraordinary life and thoughts and legacy of Joseph Campbell. "The real subject of every myth is YOU." "The myths of the world's different religions are all metaphors for the experience of being alive. We experience being God by living fully right now," writes Toby Johnson in "Finding Your Own True Myth." 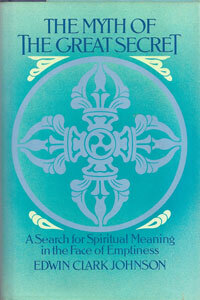 Though the book serves as Johnson's spiritual autobiography (from his calling as a religious brother in the Catholic Church to his embrace of interfaith mysticism to his success as an award-winning writer and editor of gay spirituality), "Finding Your Own True Myth" ultimately serves as a guidebook, pointing the way for the reader to explore his/her own spiritual journey and to discover the "myth of great secret," one of the aims of the spiritual life. 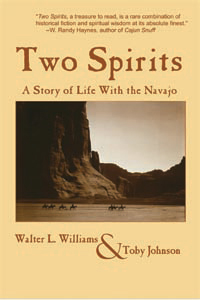 As indicated in the subtitle, Johnson intersperses the book with stories of his friendship with Joseph Campbell, the great 20th Century American mythologist, who taught him that "the real subject of every myth is you." Johnson's spiritual autobiography is an interesting mix of academia, personal anecdotes and storytelling. I came away not only inspired by Johnson's and Campbell's wisdom, but also encouraged to explore my own "hero's journey" and to discover my own true myth. Insofar as the synonym of ‘spiritual’ is ‘religious,’ just what are these people talking about? Toby Johnson tells us what they are talking about. The existence of the ‘indestructible soul’ cannot be challenged as long as one does not know what it is. Billions of people bank their eternity on the existence of something religion leaves undefined. Each one with their own vision. Each one with their own spirituality. Each one with their own myth. ‘Finding Your Own True Myth’ is much more than just another book. Glimpse your own indestructible soul.